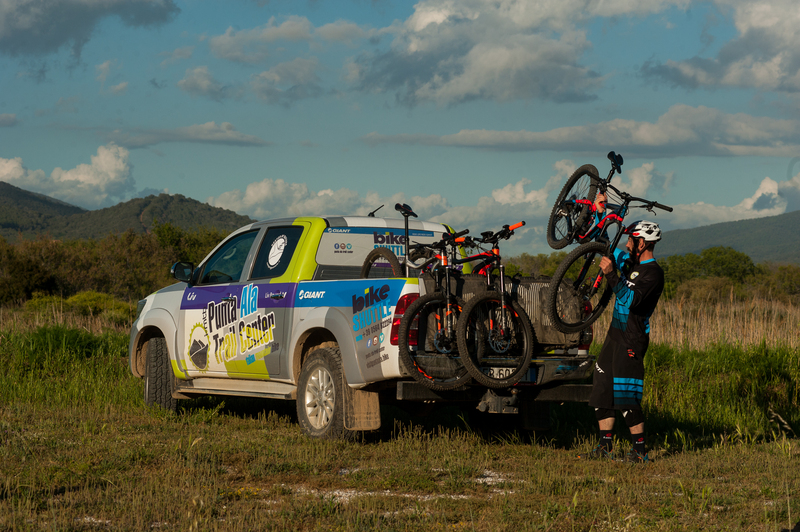 Punta Ala Trail Center’s shuttle service is popular with gravity-fiends and explorers alike. We drop riders at or near the start of our longer enduro trails in the hills behind our base, and groups typically manage up to eight descents in a day of riding. It’s a great way of maximising trail time, beating the uphills or just saving your legs for the next day of pedalling! We offer full- and half-day shuttle services for all group sizes, utilising our modern fleet of 4×4 pickup trucks to access the best trails and ensure maximum descending time during your stay with us. We also offer an early-morning drop-off service for riders wanting to fast-track into the hills and the foot of some of our farthest trails. Pricing starts at €35 for half-day service, and €65 for full-day service for those staying at Punta Ala Trail Center. The services are reserved for guests staying at the PuntAla Camp & Resort. Please fill in the below enquiry form letting us know what dates you would like to shuttle, group size and whether you would like full- or half-day shuttling. One of our advisors usually reply within 24 hours.